Certified Mold Testing NJ-NY LLC is the go-to source throughout New York and New Jersey. The Company offers lots of Wyckoff NJ Mold Testing experience. Certified Mold Testing can be counted on locally for an appointment to test local homes for mold as well as answer any questions. Being Bergen County NJ based, most testing can be scheduled and executed quickly for the local Wyckoff homeowner. Certified Mold Testing is not a mold remediator, which can be in the homeowner’s best interest due to a potential conflict of interest between Mold Testing and Mold Remediation services. Wyckoff New Jersey is a township in Bergen County located about 27 miles from Midtown Manhattan. There is great public transportation available for commuters, including train and bus service. As such Wyckoff is a popular spot for those who desire easy access to the Big Apple, yet want to live in an area where there is more freedom to roam at the end of the day. Wyckoff boasts a country feel, with a charming business district and a location at the foot of the Ramapo Mountains that cannot be beat. The Ramapo Mountains are home to numerous hiking trails, including parts of the Appalachian Trail. Open space in the community lends itself well to recreation, offering playing fields, tennis courts, handball courts and basketball courts. Commuters who call Wyckoff NJ home use the Bergen County mold testing services of Certified Mold Testing to ensure that the homes they come home to at the end of the day are mold-free. 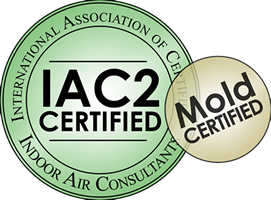 Certified Mold Testing NJ-NY is the authority on mold testing for Bergen County and Wyckoff NJ. Contact the local mold testing experts at Certified Mold Testing NJ-NY LLC today to learn more about keeping your home healthy. Whether you have seen or suspect mold, testing for it is the first essential step. 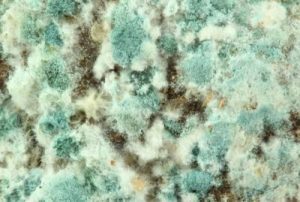 Call Certified Mold Testing today, 201-658-8881.